They count with brave and innovative entrepreneurs, who have noticed a gap in the market and envisioned a whole new scenario for how properties should be presented, consolidating the Home Staging activity in all corners of the globe. 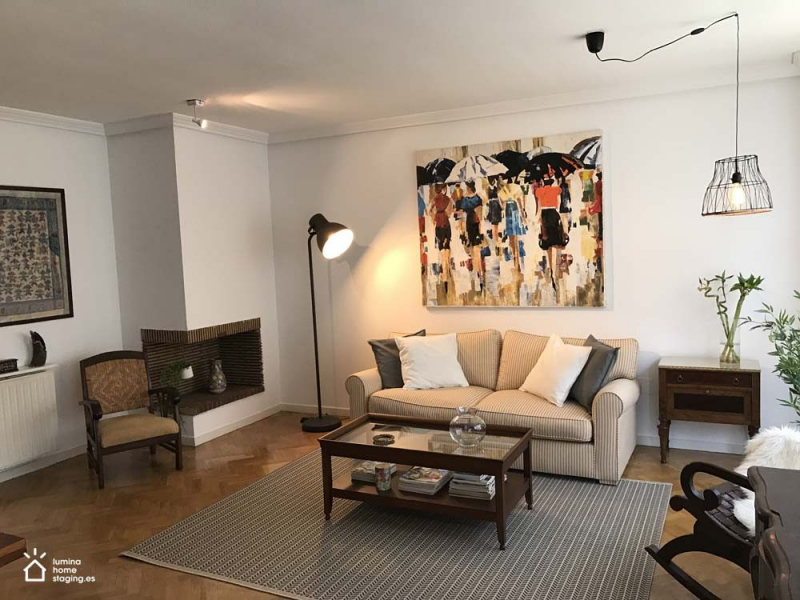 A company that exemplifies the rise of Home Staging in Europe is the Spanish Lúmina Home Staging, based in Madrid and ran by Dutch Caroline Jurgens. Lúmina has been staging houses for sale, for rent and for holiday letting since 2011. The company was born when Caroline was looking to buy a house in Madrid and was astonished by the lack of presentation of the houses she visited back then. Combine that with being out of a job, and a new successful Staging business comes to life. Being an entrepreneur at heart and passionate about home staging, she didn’t stop at staging homes: and co-founded the Spanish Home Staging Association (www.ahse.es) and are also leading providers of courses and training in home staging, teaching a range of students that go from estate agents, interior designers and architects to stay-home parents that would like to learn a new skill and open their business from home. When she is not busy staging properties or teaching home staging techniques to their more than 100 students, they also represent and sell CUBIQZ Carton Furniture in Spain and Portugal. Carton Furniture is a great tool for furnishing empty houses in a very fast, modern and economical way, and has been growing exponentially due to its innovative approach to home staging. Does Caroline furnish her own home with Home Staging approved interior design? “I really love the Scandinavian style, but quite frankly I have applied a very different style to my home, with lots of colours, plus ethnic and African influences. Probably because I saw enough neutral colours in my work.” – she laughs. “The most important for me is that a home has a soul, that you can see a reflection of the owners’ personality and life. Exactly the opposite of what we try to achieve with Home Staging. Just like Barb Schwarz, the Creator of Home Staging, says: The way you live in your home and the way you sell your house, are two different things!”. Possibilities seem to be infinite for this successful and innovative lady, and it only shows that there are many facets to be explored within Home Staging, all equally exciting and benefiting the industry as a whole. Since its founding in 2011, Lúmina Home Staging has been very active on the Spanish housing market and particularly in the Home Staging area. Talking about its advantages in the blogs published by Idealista.com, the largest housing portal in Spain, also by being consistently present in the Spanish press and teaching future Home Stagers the inside out of this business. Similarly, they co-founded the Spanish Home Staging Association (www.ahse.es) and are members of the International Home Staging organization (IAHSP), founded by the creator of Home Staging, Barb Schwarz. Besides this, they are responsible for bringing CUBIQZ carton furniture to Spain and Portugal, offering an excellent tool for all Home Stagers. The word “lúmina” comes from Latin and means “light”. The name was chosen because they wanted your house to stand out and rise above the rest of the market by putting a ray of light on it. Lúmina Home Staging wants to show the light there is in your house, showing a clean, decluttered and above all, a beautiful house. Moreover, they want you to show your light, doing what you like to do and living your passion. That’s what they strive for with each of their students.